The Pokemon craze is one that has not died down completely, and everywhere that you go, you will be able to find devoted fans of the game in one way or another. 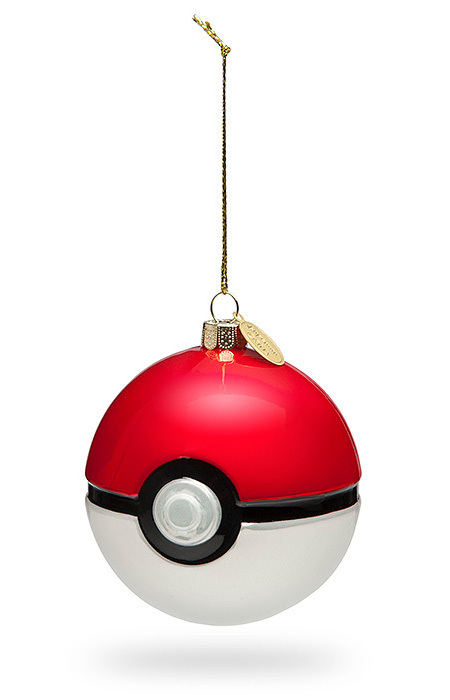 If you still happen to have someone in your home who is nuts about Pokemon, perhaps this $24.99 Poké Ball Glass Ornament Set will be able to keep him or her happy this coming holiday season. Do take note that each purchase arrives in a set of 4 large ornaments for your Christmas tree, measuring 3″ diameter with red and white metallic sheen. These are breakable obviously, and breaking these will not see any Pokemon jump out. Rather, you would need to sweep or vacuum up the broken glass pieces on the floor, so do caution any children in the vicinity not to throw it around.